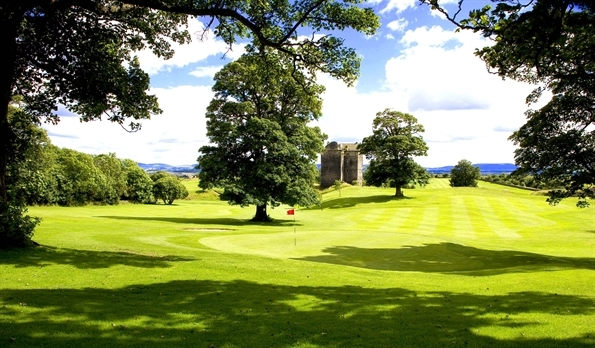 During a round of golf at Niddry Castle in West Lothian in August 2007, James Gordon, an 18-handicapper, accidentally struck a visitor on the course, Anthony Phee, in the face after an errant shot. The incident cost Mr Phee an eye and he subsequently successfully sued both Mr Gordon and the club for sizable damages totally almost £400,000. Mr Gordon had been playing a round of golf with his friends at the club. Meanwhile, Mr Phee, from Manchester, was visiting Niddry Castle with his playing companions. Mr Gordon was teeing off at the 18th hole of the course and explains: “I hit a drive badly, off the heel, causing the ball to fly low and hard to the left. The ball struck one of the group of four people (Anthony Phee) approaching the seventh tee.” Mr Gordon added that there were ‘at least three loud shouts of “Fore!”’ Even so, Mr Phee was still struck and said his eye ‘explode’. He was subsequently fitted with a prosthetic eye and took the matter to the Court of Session in Edinburgh. The adjudicating judge, Lord Brailsford, found in Mr Phee’s favour and damages were agreed at £397,000, with Mr Gordon 70% liable and Niddry Castle 30% liable. Lord Brailsford said that a golfer of Mr Gordon’s experience should have been aware of the risk that his tee shot posed Mr Phee, whilst he found the golf club acceptable for failing to provide safety signage. At appeal, the accountability levels were adjusted, with Mr Gordon taking 20% of liability and the club 80%. Mr Gordon admitted that taking out specialist golf insurance had not been something he had ever considered prior to the incident. “I was under the illusion that our golf fees covered insurance,” he said, adding that he didn’t know that he could be held liable for another person’s injuries, even after a warning shout of ‘Fore!’ The accident was obviously life changing for Mr Phee. For Mr Gordon, the implications were both financial and emotional. “I didn’t play golf for six months after the event,” he revealed. With specialist personal liability insurance from Golf Care, Mr Gordon would have been protected financially after injuring Mr Phee. It covers you for up to £5m in the event of injuring a third party and also covers the costs of repairing any damage caused to property by an accidental mishit. Whilst the case between Mr Gordon and Mr Phee was ultimately resolved, it was a long, drawn-out legal process that caused distress for all involved. Personal liability insurance from Golf Care would not have changed the physical and emotional trauma experienced by both parties but it would have saved Mr Gordon an estimated £20,000 in damages. Nobody goes out onto the course expecting to injure somebody but accidents can and will happen. That’s why it’s vital to equip yourself with adequate insurance. But don’t just take our word for it. “I would definitely recommend golf insurance for peace of mind and I am amazed by the number of people that I play with that still don’t have it,” added Mr Gordon.